“For me Abu Dhabi is one of my favourite tracks on the calendar: I love coming early just to see the city, to see Dubai and to hang out. I think we’ll be pretty strong there, and everyone has a lot of laps there so it’s a bit more of an even playing field, even for the cars, but we’ll see. 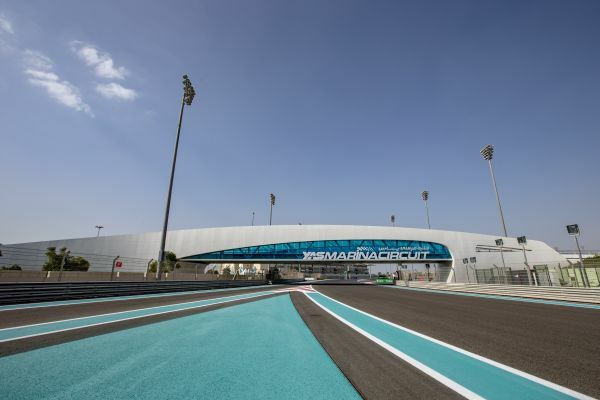 The final round of the 2017 FIA Formula 2 Championship will be held this weekend at the Yas Marina Circuit in Abu Dhabi, rejoining the F1 paddock for the glamourous finale of their 2017 season. The circuit is well known to the teams and drivers given the amount of testing carried out at the circuit (with more to be carried out following the race weekend), and while the Teams’ title is on the line the Drivers’ title has been wrapped up, allowing the grid to race a little more freely than usual, which promises to provide an entertaining spectacle for the fans. Last time out in Jerez championship leader Charles Leclerc was pushing everything to the maximum to wrap up the title ahead of time: in qualifying he was worried about Luca Ghiotto’s pace and decided to use a third set of tyres, grabbing pole at the tight circuit but potentially compromising himself later in the weekend. The gamble paid off, but only just: Leclerc led into turn 1, Ghiotto soon had Oliver Rowland in his mirrors, and Leclerc came out ahead of everyone on his strategy before slicing through the 4 drivers on older mediums ahead of him. But a safety car turned the tyre strategy around: Leclerc had nothing left on the last lap and was fortunate to have backmarkers between himself, Rowland and Antonio Fuoco on the alternate strategy, winning by 0.2s to claim the Driver’s title. Sunday saw newcomer Alex Palou on pole, with Ghiotto in P2 and looking to get revenge after losing a podium because of the tyre strategy change in the feature: the rookie made a great start to hold off the Italian, who was soon pushed off track by Jordan King, who in turn soon retired with an engine problem, promoting Nicholas Latifi and Artem Markelov to the podium positions. The PREMA pair stopped halfway for fresh tyres, with Ghiotto following suits a few laps later, but out front Palou was burning through his: Markelov attacked before flying off into the distance, with DAMS pair Latifi and Rowland rounding out the podium ahead of a stunning rescue drive for Ghiotto in P4 while Leclerc dropped like a stone on the last lap after running out of tyres, setting up the battle for the Teams’ title in Abu Dhabi. “Just as in Formula 1, Abu Dhabi provides a spectacular finale to another great season in Formula 2. The Yas Marina circuit provides an all-round challenge for the drivers and also the tyres, with a combination of high-speed short straights and more technical sections. · Charles Leclerc is the FIA Formula 2 Championship’s 2017 Driver Champion. · 4 drivers are competing for the Vice-Champion position: Oliver Rowland (189 points) leads Artem Markelov (177), Luca Ghiotto (164) and Nicholas Latifi (164). · 3 teams are competing for the 2017 Teams’ title: PREMA Racing (347 points) leads DAMS (345) and RUSSIAN TIME (341). · There are 2 driver changes for Abu Dhabi: Lando Norris will make his F2 racing debut for Campos Racing in car #11, replacing Ralph Boschung, and Roberto Merhi returns to car #19, replacing Rene Binder at Rapax. · DAMS have achieved the most podium finishes (18), ahead of RUSSIAN TIME and PREMA Racing (both 12). Antonio Fuoco (PREMA Racing) and Sergio Sette Camara (MP Motorsport) +1 Place between Round 9 (Monza) and Round 10 (Jerez).